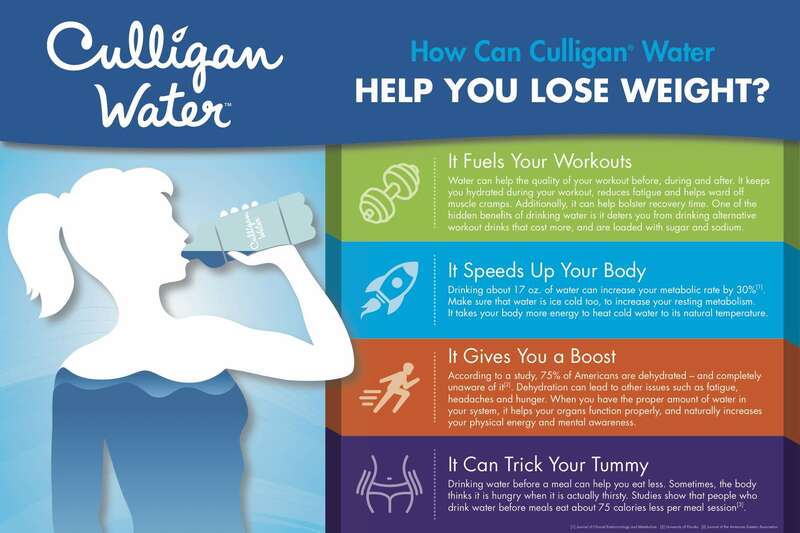 There are many ways to cut weight, but one of the few that is scientifically proven is to drink more water. Why? 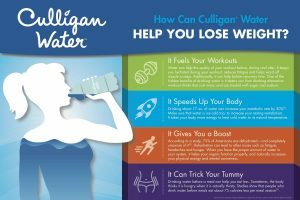 Water not only has a number of health benefits on its own, but also can supplement the two most important ways of losing weight and maintaining your healthy lifestyle — diet and exercise. 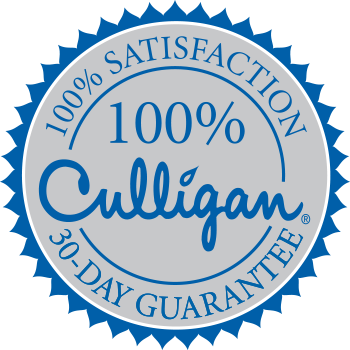 Check out below how drinking delicious, clean Culligan Water can help you continue to shed the holiday pounds, and keep them off through the rest of 2018!